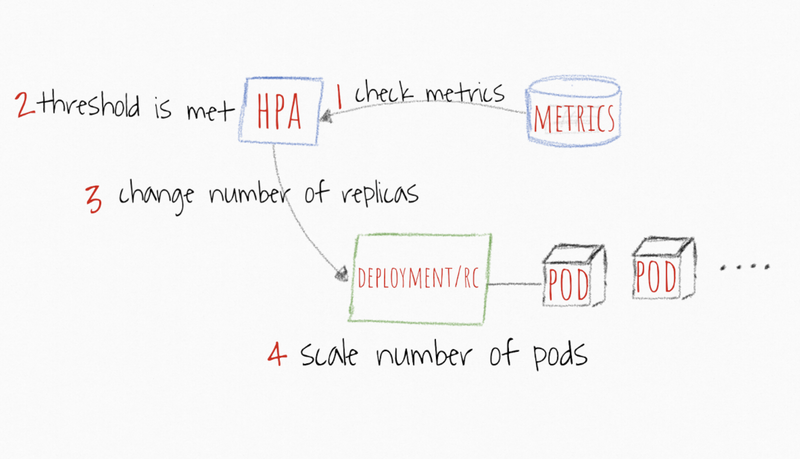 Effective kubernetes auto-scaling requires coordination between two layers of scalability: (1) Pods layer autoscalers, this includes Horizontal Pod Autoscaler (HPA) and Vertical Pod Autoscaler (VPA); both scale available resources for your containers, and (2) cluster level scalability, which managed by the Cluster Autoscaler (CA); it scales up or down the number of nodes inside your cluster. Vertical Pods Autoscaler (VPA) allocates more (or less) cpu or memory to existing pods. Think of it as giving pods some growth hormones :) It can work for both stateful and stateless pods but it is built mainly for stateful services. However, you can use it for stateless pods as well if you would like to implement an auto-correction of resources you initially allocated for your pods. VPA can also reacts to OOM (out of memory) events. VPA requires currently for the pods to be restarted to change allocated cpu and memory. When VPA restarts pods it respects pods distribution budget (PDB) to make sure there is always the minimum required number of of pods. 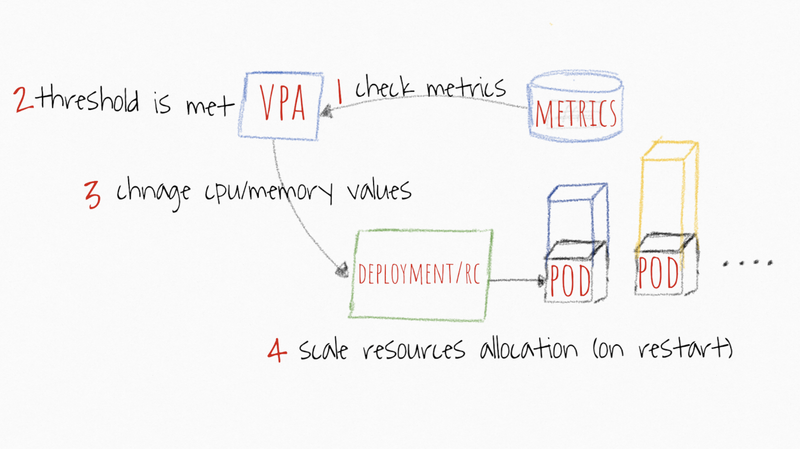 You can set the min and max of resources that the VPA can allocate to any of your pods. For example, you can limit the maximum memory limit to be no more than 8 GB. This is useful in particular when you know that your current nodes cannot allocate more than 8 GB per container. Read the VPA’s official wiki page for detailed spec and design. When If there is one or more pods in pending state because of there are not enough available resources on the cluster to allocate on the cluster them, then it attempts to provision one or more additional nodes. If you would like to reach nirvana autoscaling your Kubernetes cluster, you will need to use pod layer autoscalers with the CA. The way they work with each other is relatively simple as show in below illustration. Scaling up is the mostly a time sensitive operation. You want your pods and cluster to scale fairly quickly before your users experience any disruption or crashes in your application. You should consider the average time it can take your pods and cluster to scale up. Kubernetes is a resources management and orchestration tool. Day-2 operations to manage your pods and cluster’s resources is a key milestone in your journey mastering Kubernetes. Understanding how different autoscalers work together will help you configuring your cluster.